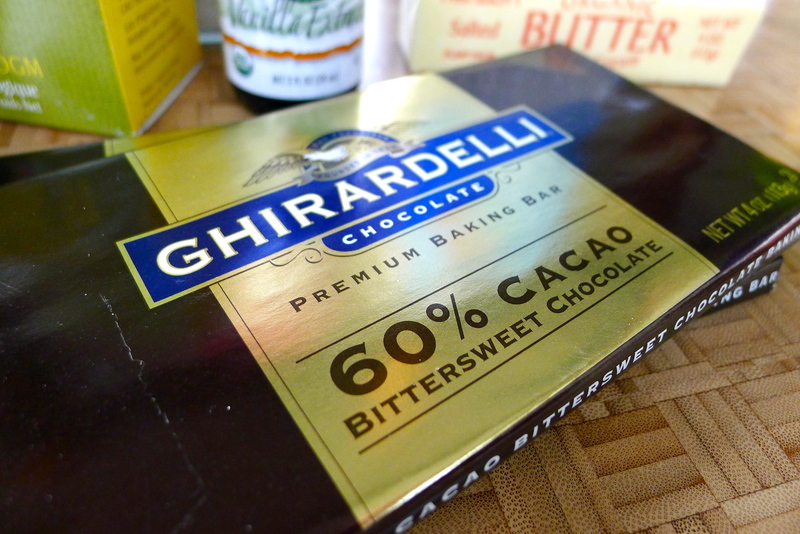 As I scan through the list of decadent treats on my Sweet Stuff page, I realize there’s an abundance of chocolate. There’s the delicious chocolate pie, surprisingly made with silken tofu. There’s the s’mores ice cream I made when my brother was visiting. Espresso chocolate chunk cookies are some of my all-time favorites, and just about everyone loves a pan of ooey-gooey brownies. 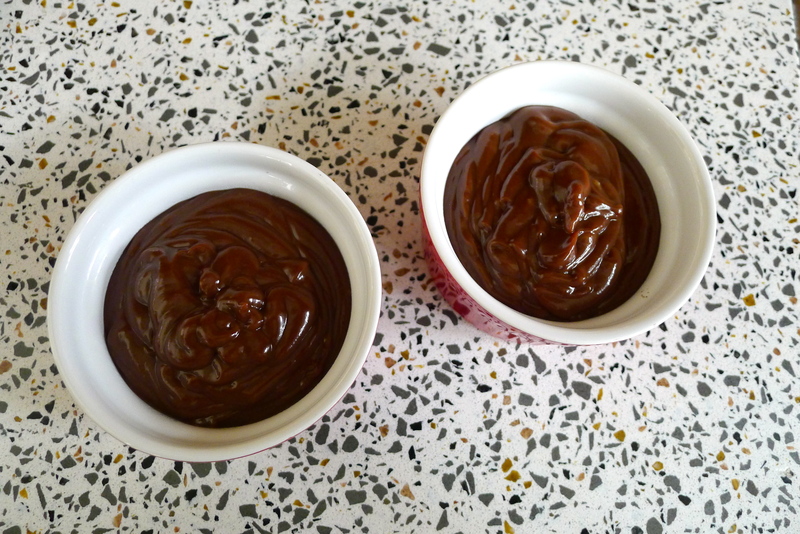 Last Valentine’s Day, I was surprised at how easy it was to make chocolate molten cakes. 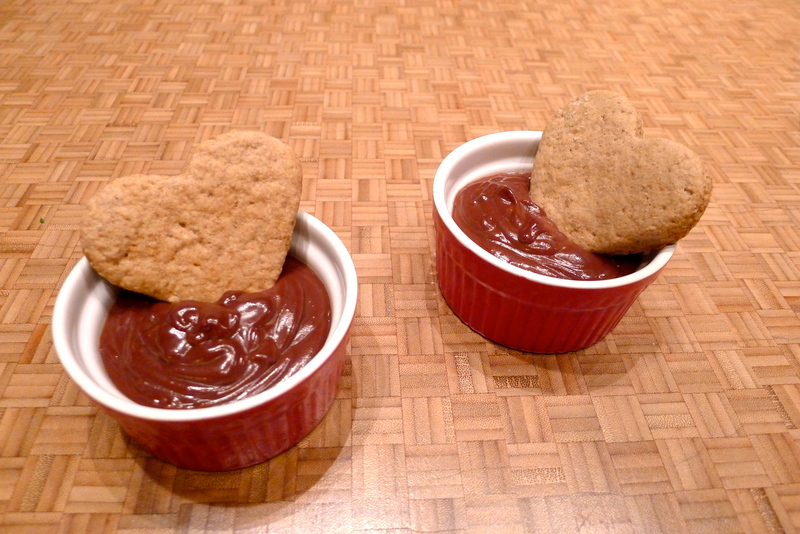 Maybe there’s something about love and chocolate that just go together, because this year, I made another rich and dreamy dessert: Spicy Chocolate Pudding served with homemade graham hearts. While John slept in, I made a batch of graham crackers. 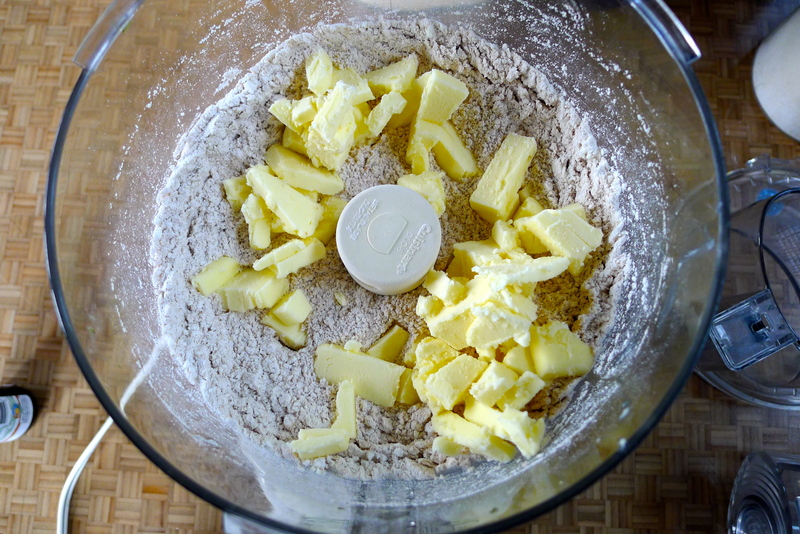 I used this recipe, which was quite simple since it lets the food processor do all of the work. 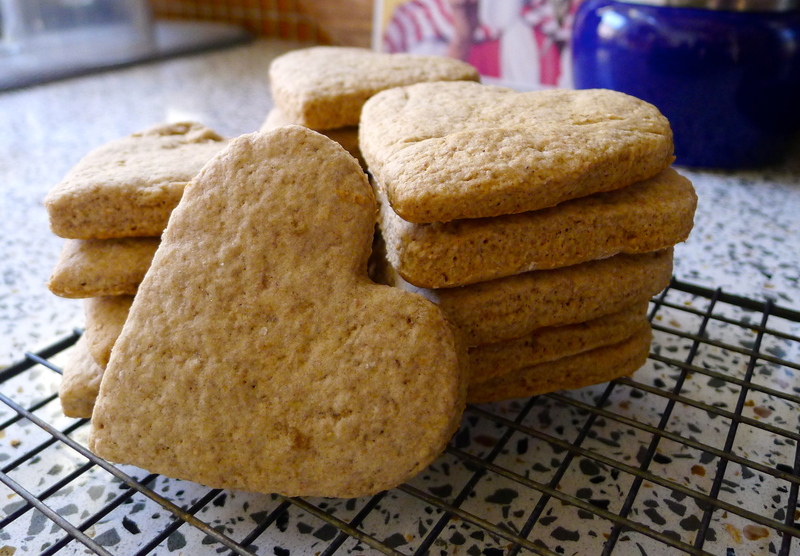 I used a heart-shaped cookie cutter and ended up with a stack of festive (and yummy) cookies. 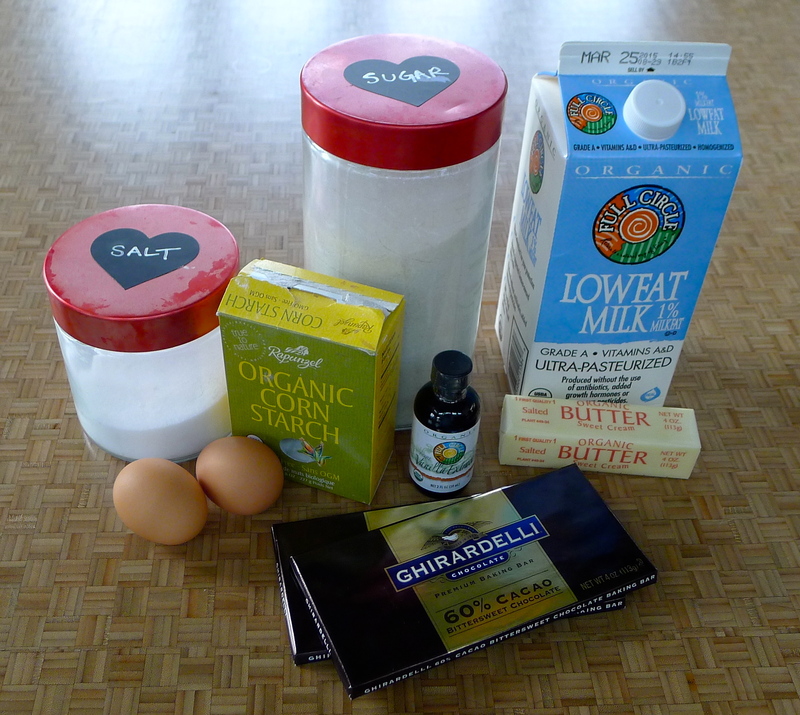 For the pudding itself, I went with a simple recipe I’d seen the Pioneer Woman make. 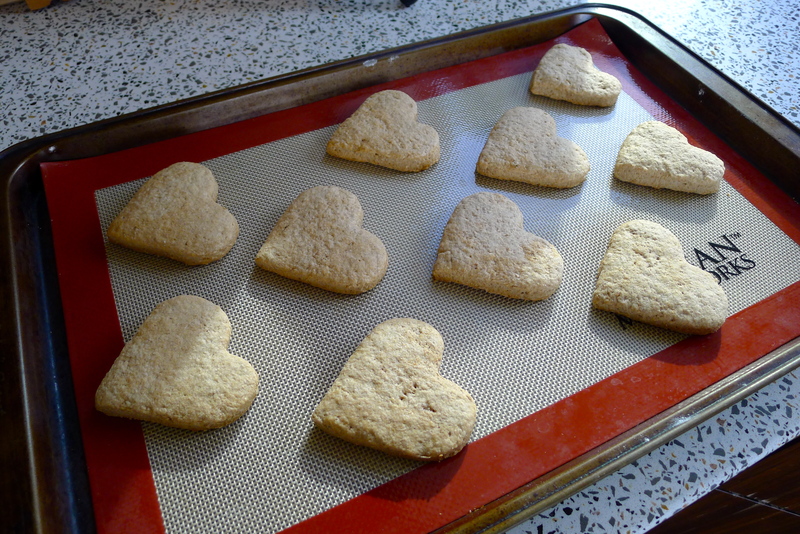 The ingredients are few and the process is easy, which is just what I wanted for Valentine’s morning. 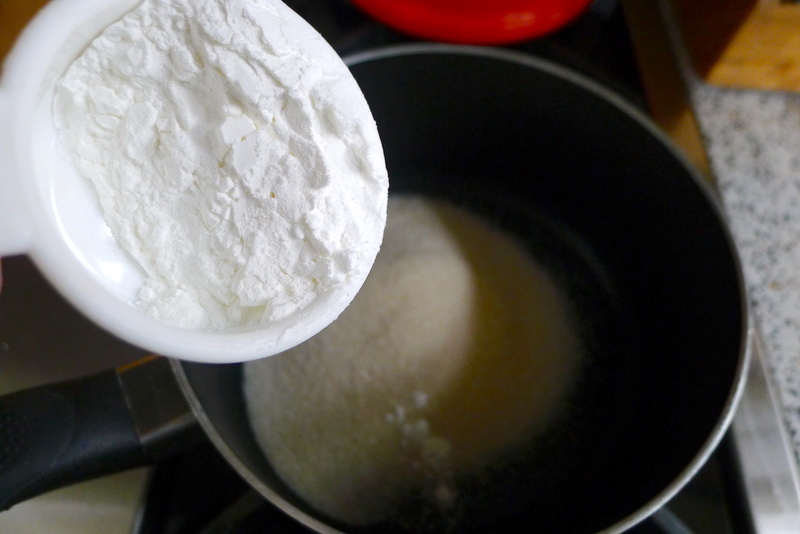 I started by combining sugar, cornstarch, and salt in a saucepan. 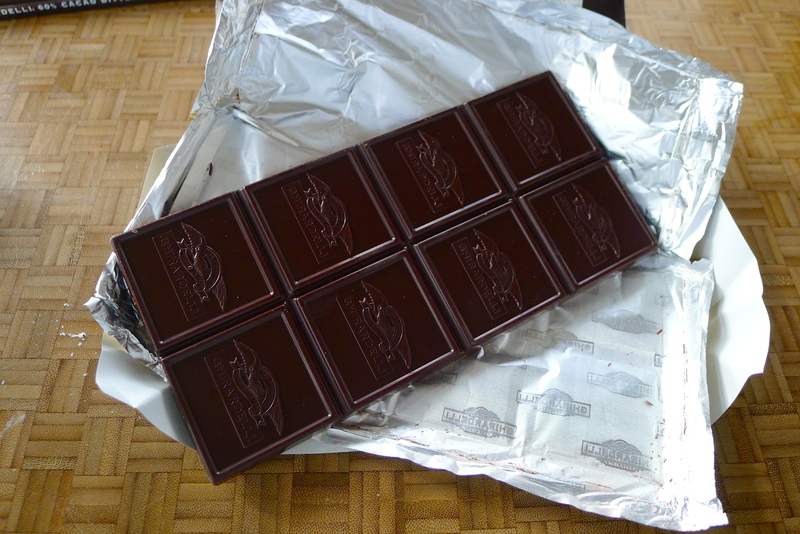 I deviated from the recipe just a tad by adding some cayenne pepper; I’ve experimented with spicy chocolate treats before and love a touch of subtle heat. 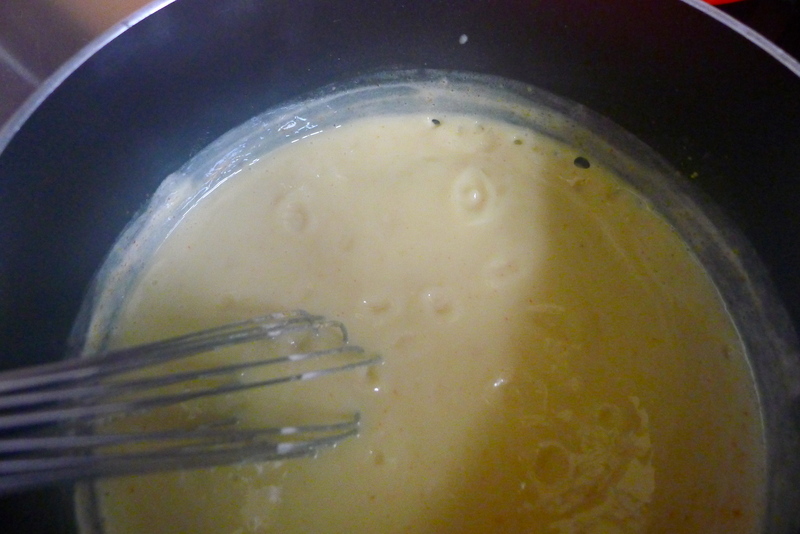 Next, I poured some milk into the saucepan and a couple of egg yolks. I warmed the pan over medium heat for 7 or 8 minutes, letting it combine and thicken. When it started to bubble, I took it off of the heat. 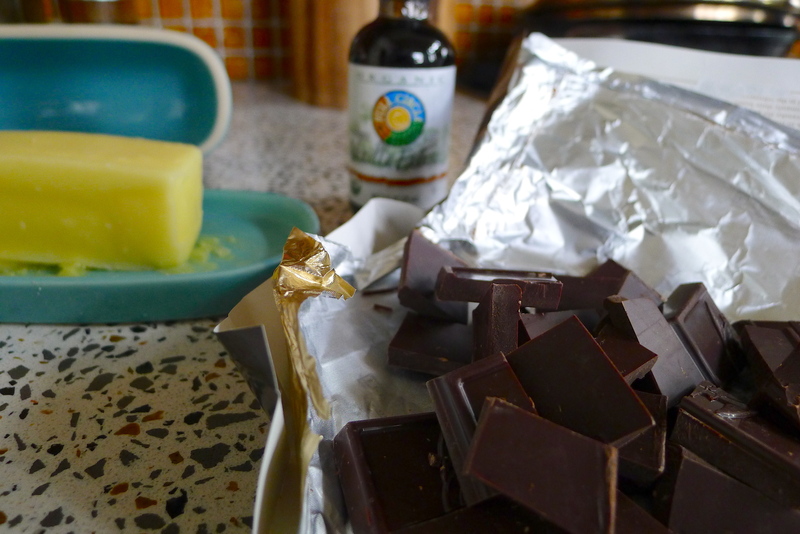 The last few ingredients went into the pan: vanilla, butter, and bittersweet chocolate. 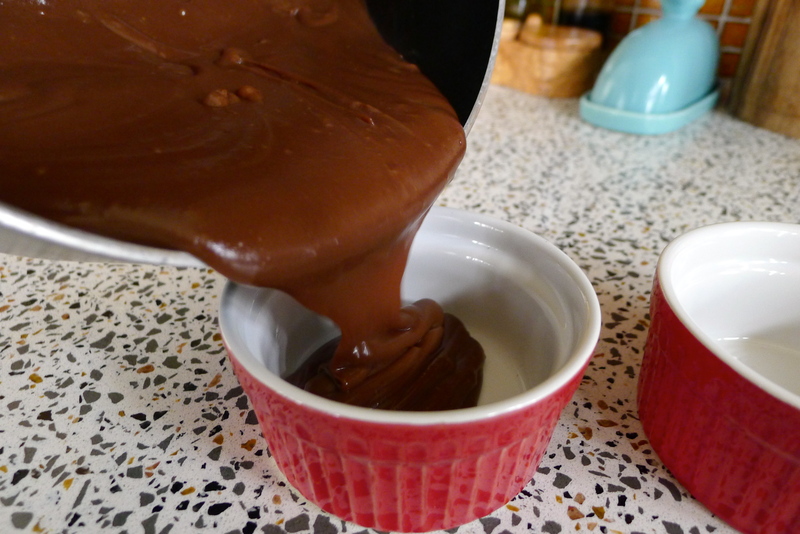 I whisked it until the chocolate and butter had melted and the pudding was thick and perfect. A quick taste brought a smile to my face. It’s sweet, but not milk-chocolatey sweet. The texture is creamy and smooth. And there’s a spicy kick to it that you don’t taste at first but is definitely there. YUM. 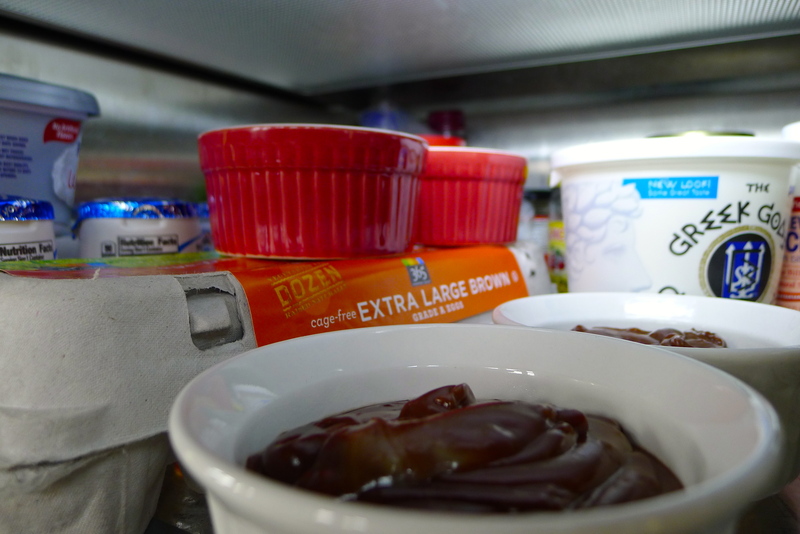 I poured the pudding into little red ramekins and let them sit in the fridge to set until after our pizza feast. After our delicious dinner, I tucked a graham heart into each one for serving. Rich, creamy, chocolatey, perfect. 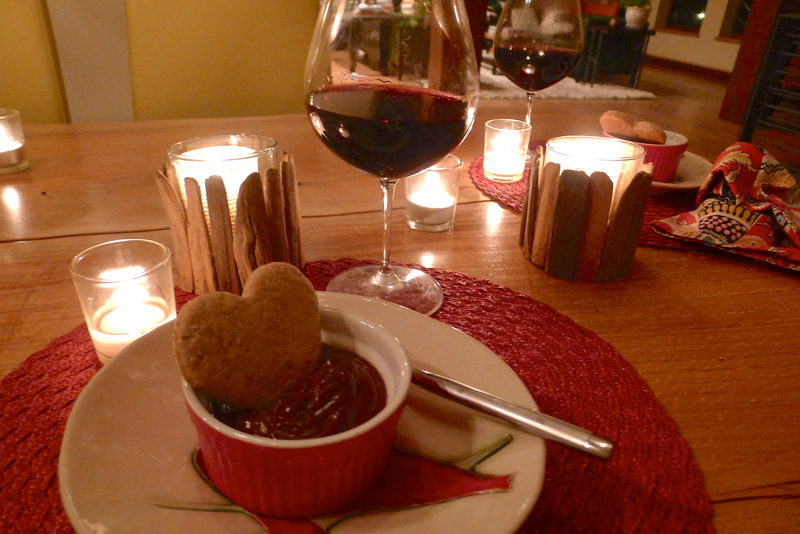 We enjoyed our treats by candlelight with the last of our red wine. 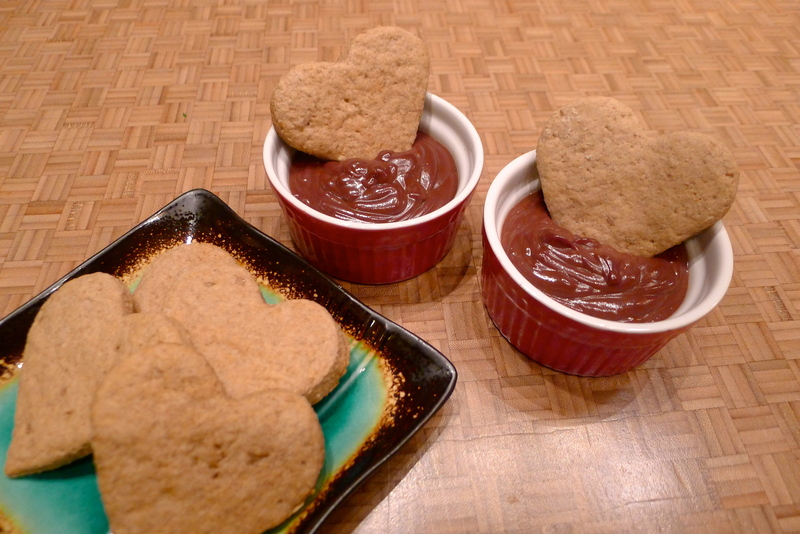 It was a dessert with Valentine’s Day written all over it (but easy enough to make anytime!). 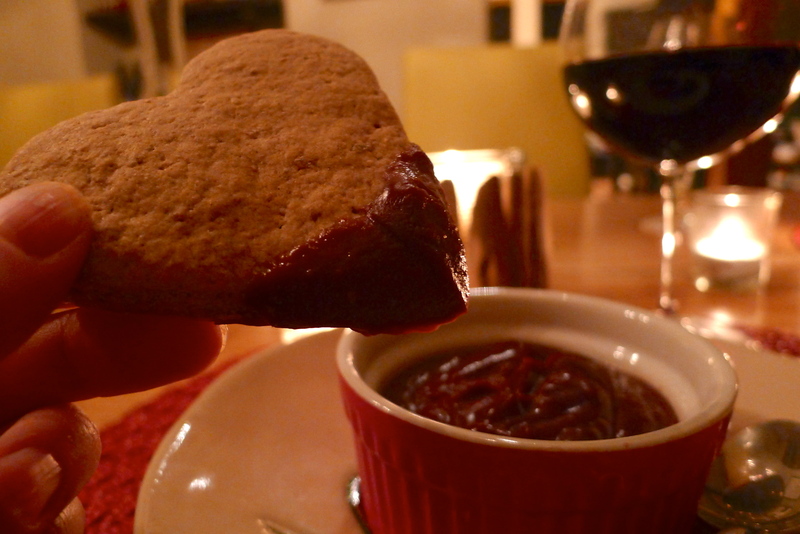 Cheers to love (and chocolate). 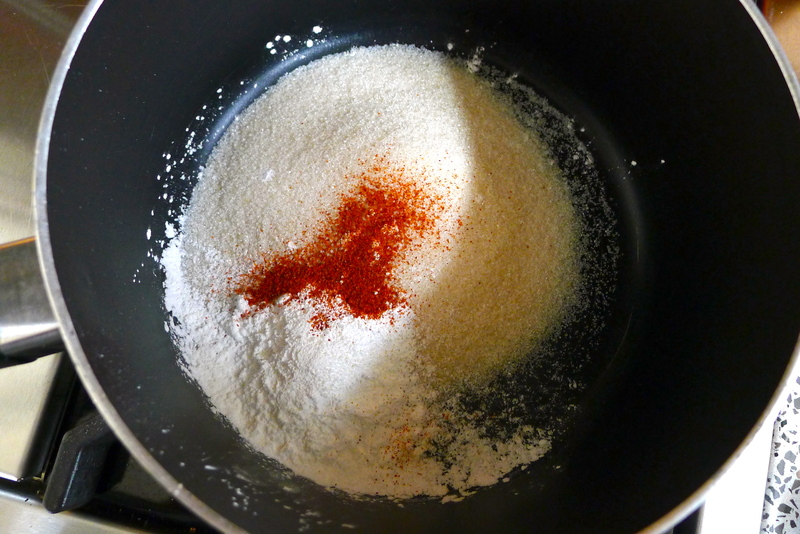 In a medium saucepan, combine the sugar, cornstarch, salt, and cayenne pepper. 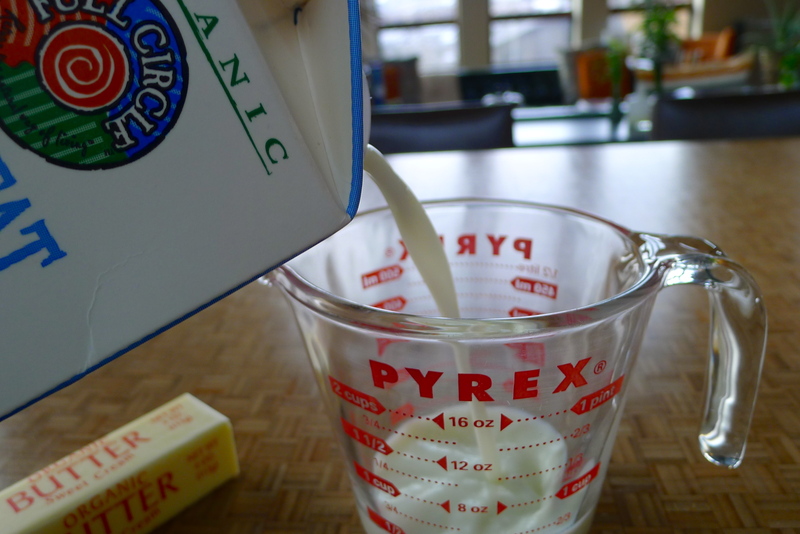 Add the milk and egg yolks and stir over medium heat until the mixture blends and begins to thicken, about 6-8 minutes. 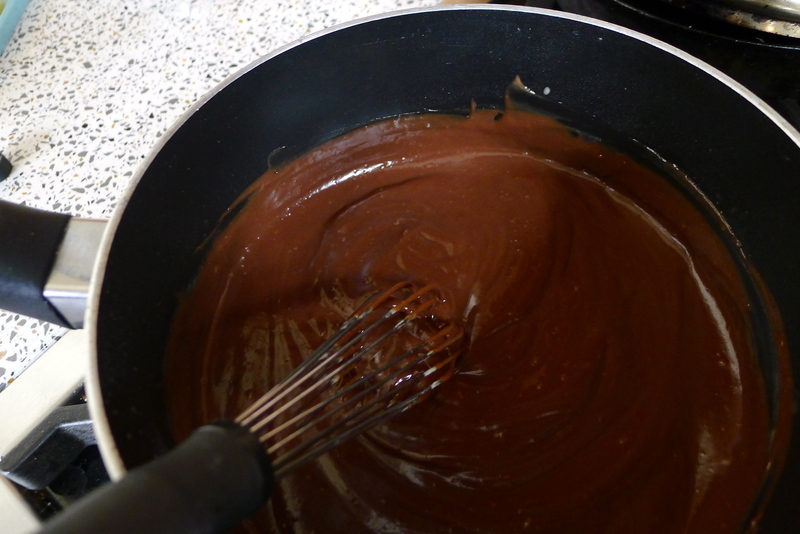 When the mixture has thickened like traditional pudding and begins to bubble, remove it from the heat. 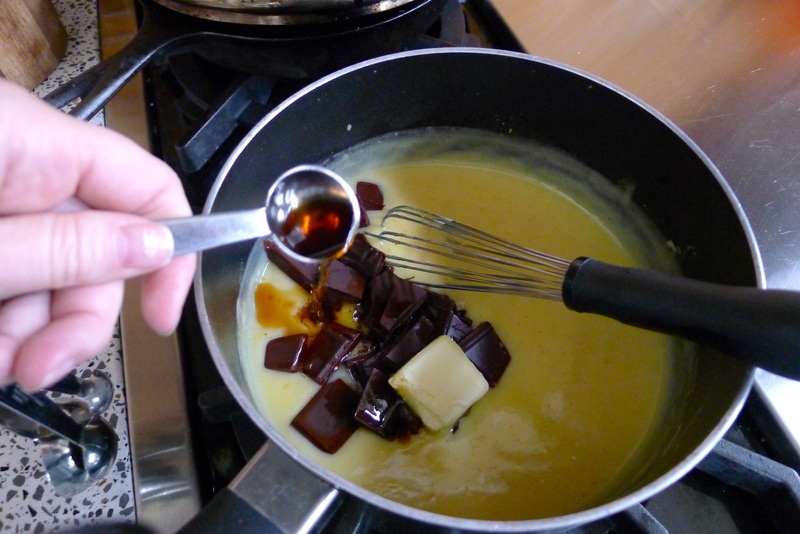 Stir in the chocolate, vanilla, and butter until well combined. 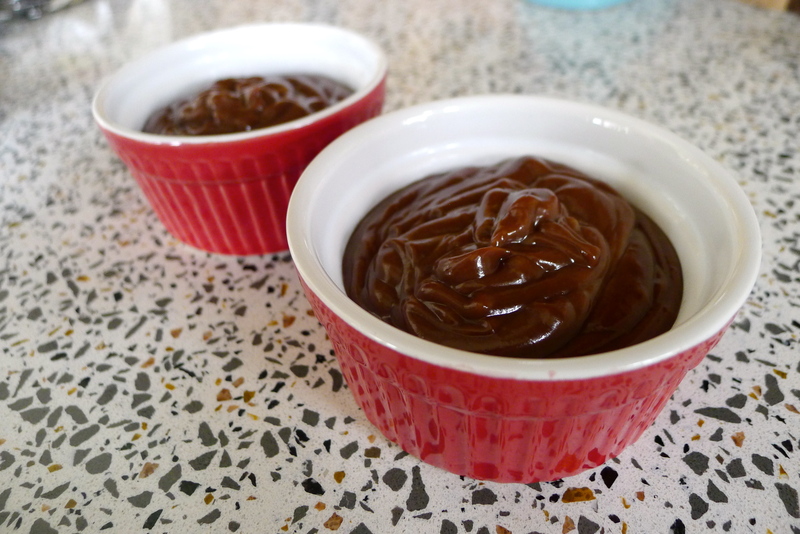 Pour into little ramekins and set in the refrigerator for a couple of hours. 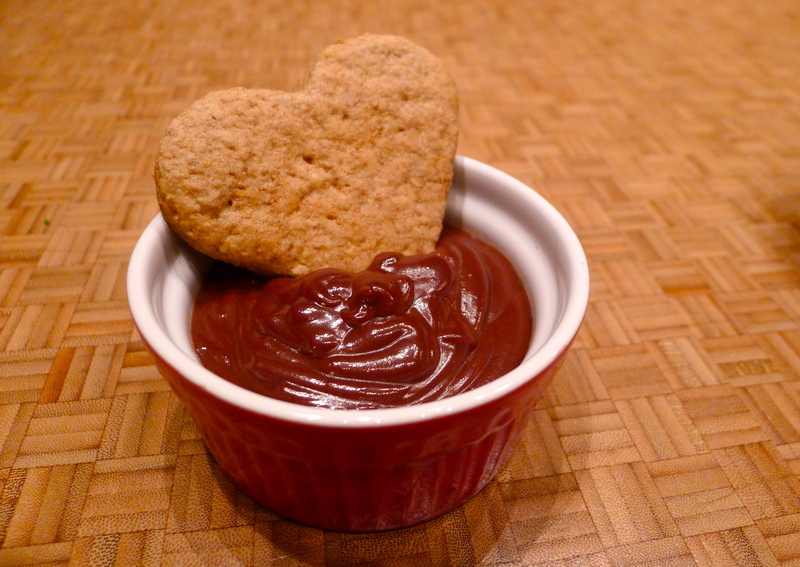 To serve, tuck a graham heart or other cookie into the pudding. Cheers to love and chocolate. YUM. Hungry for more? Check out more delicious recipes on the FOOD BLISS page. i found your blog because I was looking for more info on Toll Canyon after I happened upon it late this fall. (I live in Pinebrook so it’s right in my area.) Since then, I stumbled upon your tasty recipes and I just wanted to let you know how much I enjoy your writing. I just made the pudding and graham crackers- yum! So simple but delicious. Thanks and can’t wait to see more of your writing. Hi, Erin! I love Toll Canyon, in every season! I’m so glad you discovered the website. 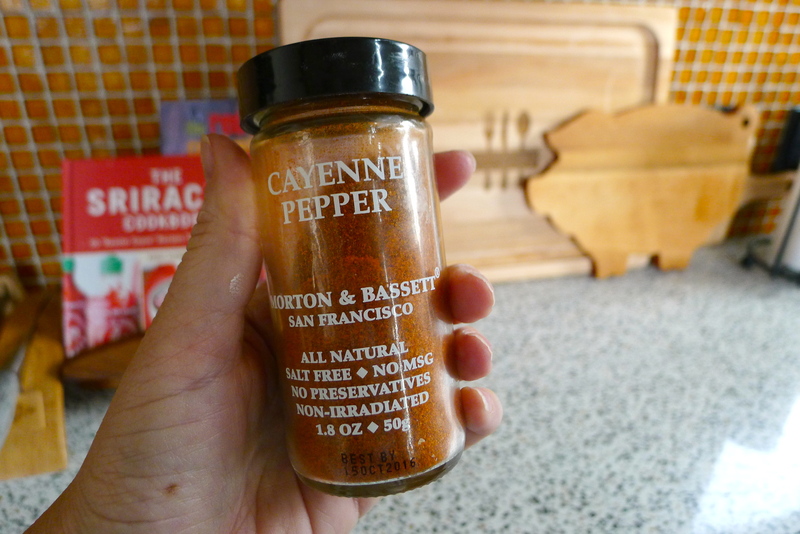 Did you add cayenne to the pudding? Welcome- and thanks for the kind words!